Probate Attorney | Ponte Vedra Beach | Jacksonville | Mason Law Firm, P.A. Ensure that the last wishes of your loved ones are met when you consult with the probate lawyers at our firm in Ponte Vedra Beach, Florida. Clients in need of a licensed probate attorney can count on The Mason Law Firm to make the process as easy as possible. We are available to represent you for all of your estate and probate case needs. A death can have a major impact on friends and family members. Once loved ones have had a chance to say goodbye, what happens to the deceased’s property? While many people choose have wills and trusts, others do not leave behind their final wishes. In many of these cases, the matter goes to probate court. You do not have to face this time alone. Because the right course of action is not always clear during times of great stress, it is important to rely on someone you can trust for support. Our goal is to help people through this difficult time, and make sure they fully understand the probate process. There are specific rights and obligations that arise when a loved one passes away. We will help you make educated decisions on the best method of handling your probate matter. Our probate lawyers will review and investigate creditors’ claims against estates and ensure the validity of such claims before they are paid. We will negotiate with estate creditors and work diligently to provide the maximum recovery for estate beneficiaries. Probate is not a required legal step. Avoiding probate is easy by following several simple and effective steps. These steps ensure that all or some property passes directly to the proper heirs, without the need for probate court. At The Mason Law Firm, our attorneys are available to advise you on the best steps to take to make your legal situation as easy as possible. From a living trust to a last will, we help you complete your estate planning before it is too late. With our guidance, you will make things simple for your heirs after you pass away. Our services also include options for joint ownership of property. 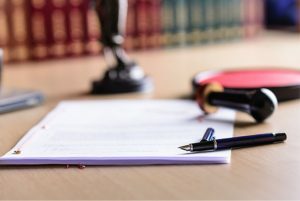 Our legal fees for representing you in the administration of a Florida probate estate depends on the facts and circumstances of your particular case. Often, our firm will work on a flat fee or fixed fee basis so that you will know from the beginning exactly what your total cost will be for the probate case. In some probate cases, we will consider working on a deferred fee basis, which means the fees can be paid out of the estate.